Before the influx of multi-media CDs flooded the market, even before Myst or The 7th Guest popularised it, a Japanese computer artist named Haruhiko Shono created a hallucinatory game loosely based on an equally hallucinatory children's book. 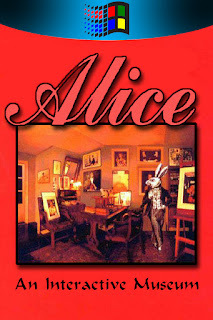 Originally released in 1991 in Japan and 1994 elsewhere, Alice: An Interactive Museum stands as being one of the most trippy experiences ever put on CD. Local Cerulean trainers were hosting a tournament of sorts on Nugget Bridge, but by the time I got there the tournament was over. In fact, the tournament was exposed as a recruiting ring for Team Rocket and was overturned by a trainer quite a few years younger than me. Although Team Rocket was gone, the trainers were still there accepting challenges and I took them on one by one without hesitation or incident. After trouncing Wolf and the Nugget Bridge trainers, I was feeling pretty proud of my team and confident in our ability to succeed. Beyond Nugget Bridge which spans Route 24 was a short hike along Route 25 to the Cerulean Cape. Bill lived out there in a small cottage and welcomed trainers to come visit and discuss all things Pokémon with him. Just west of Nugget Bridge, I caught a second Pidgey whom I named Charlie. He was a bit stronger than Kiwi when we first met, but now that Kiwi had evolved into Pidgeotto, Kiwi was a star member of my team. League rules dictate that trainers can only carry six Pokémon at a time in Kanto, so Charlie would soon be stored away waiting for his day to train and battle alongside his teammates. 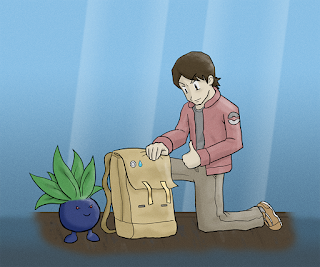 The sixth member of the team was about to be Arnold, a small Oddish I caught on Route 25. This tiny little sprout was unexpectedly strong. He single-handedly toppled an Onix in his very first trainer battle on our way to meet Bill. I knew in that moment that he would be a great asset when I went to challenge the Cerulean Gym, which was known for its fierce water-type Pokémon. When I first met Bill, he was recovering from some rare illness. He assured me it was not contagious, but he was still not feeling quite himself. I could tell he didn't really want to talk about it, so instead I steered the conversation to our absolute favorite topic: Pokémon. Bill is a self-proclaimed PokéManiac and no one has ever really challenged it. His obsession with Pokémon has very few rivals. 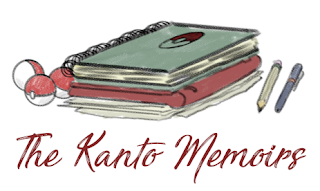 Bill is credited with inventing and operating the Pokémon Storage System that was available in Kanto at the time, and that system's descendants are still in use today. At that very moment, Charlie was sitting in a subsection of the Pokémon Storage System that was allotted to me for my own personal Pokémon needs. Much like the Pokédex, this would prove to be an invaluable tool to help me kick start the Pokémon Sanctuary that I run today. It's because of people like Professor Oak and Bill that Kanto was such a tremendous hot spot for aspiring Pokémon trainers back then and is still somewhat of a legendary region to this day. Bill was delighted at my idea for a Pokémon Sanctuary. He was also interested in my resolve to not let any Pokémon faint in battle. He was shocked I was able to let go of Rascal (Sr.) and Nibbles. I assured him then and I assure you now, it was not easy. It truly broke my heart, but it was an important part of my growth as a trainer. Bill offered to help in any way he could with my project. He also offered to look after or find aspiring new trainers to take care of any future Pokémon I was forced to release by my own personal code. His love for all things Pokémon was abundantly clear. Bill was eager to show me his favorite Pokémon, one I had never heard of before meeting Bill. He had numerous files on his computer system about the Pokémon Eevee, and Bill had been doing research into its wide variety of evolutions. Bill was a leading expert on the Kanto Evolution Stones which included Moon Stones first found on Mount Moon, as well as Fire, Water, Thunder and Leaf Stones. More would be discovered in time, but these were among the first known to transform certain Pokémon when exposed to their faint light. Bill showed me some pictures and sketches of Flareon, Vaporeon and Jolteon. Bill and I spent several hours passing the time in conversation, but eventually it was time to head back to Cerulean City to rest up before my gym challenge. I was really happy I had taken the time on my trip to meet Bill and shake his hand. As I said, I couldn't have gotten where I am today without Bill and his amazing work on the Pokémon Storage System. The day after I met Bill, I challenged Misty at the Cerulean City Pokémon Gym. Unlike my devastating loss to one of Brock's junior trainers, my new friend Arnold made short work of the two trainers in Misty's gym. They simply couldn't hurt him more than his own absorption could repair. All the Pokémon of the Cerulean City Gym were powerless against Arnold's ability to drain their energy and bolster his own. I was worried about facing Misty. I had been warned that her Starmie was one of the most powerful Pokémon in the region, so I came prepared. After defeating Misty's Staryu efficiently with Arnold, I put her Starmie to sleep with a soothing powder that spreads from Arnold's leaves. Though, Starmie's powerful psychic attacks had the potential to cripple or even knock out Arnold instantly, it simply slept peacefully while Arnold nuzzled up to it and sapped its energy. Misty was soundly defeated and Arnold was the super star of the Cerulean Gym challenge. It wasn't the most exciting series of battles in Kanto, but sometimes strategy and planning is more important than a fast paced battle of strength and determination. I was lucky to have found such a great Pokémon like Arnold just a day or two before challenging a tough gym leader like Misty. Attacks in Blue are recently learned. The holidays have come and gone leaving winter in its wake. Keyforge is still going strong, D&D is rolling along, and other games are sneaking their way onto my table. Here is a pictorial history of the past few months. Enjoy!